Hey…thanks for showing up. 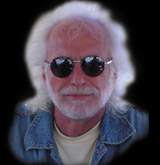 I’m honored that you’d like to know more about an Original MAD MAN, at least this one…me. As stated on the home page, I’m not the only Original MAD MAN in the world, but I truly believe we’re a rare breed. A breed that may be a result of decades of electronic communications, microprocessor technology and sometimes a never ending cocktail hour. Someone like Stanley Kubrick engineered our special effects and a conversation with an Original MAD MAN can be a little like sticking your finger in a wall socket. So based on my experiences in the MAD World and passion for its life, I’ve inducted myself. 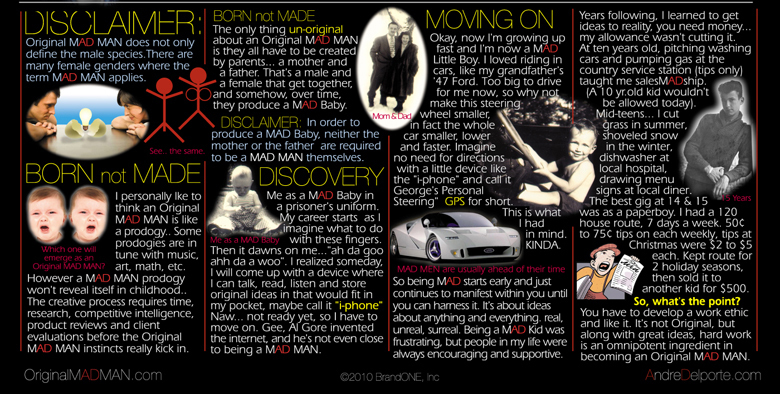 Original MAD MAN is an introduction to my company, BrandONE, Inc., a very creative brand development and marketing firm. Maybe knowing a little background and philosophy of its founder, ambitious business owners may want an Original MAD MAN on their team. We create great ideas but most important, we can recognize them, even when they’re not ours.